Unsworth residents who live in and around Unsworth Pole may wish to be informed that the Unsworth Smile Clinic located at 57 Parr Lane have submitted yet another planning application. The last application I blogged about here in November 2016 has been withdrawn by the applicant and re-submitted under a new application number 61048. This means if you submitted comments (either for or against) to the previous application during November and December, you will need to do so again before the 14th February. 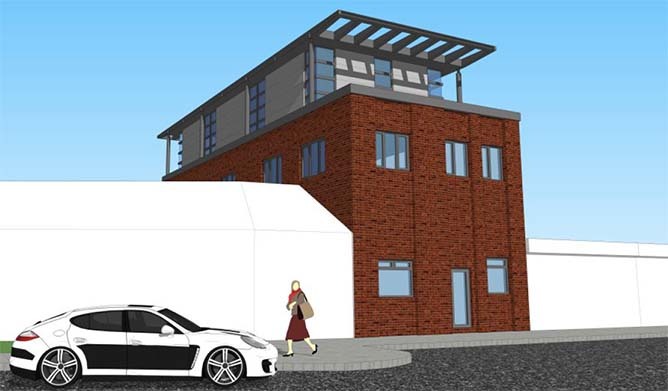 Important changes to the design have been made to the proposed third floor extension (the materials now comprising of steel structure, with metal cladding and more glazing than in the previous application). The Design and Access Statement acknowledges the lack of parking and attempts to mitigate this major shortcoming by stating “that many of our patients are local. They don’t necessarily have cars.” and goes on to explain the dental clinic is on a bus route. The document also states that patient numbers “will not increase”. 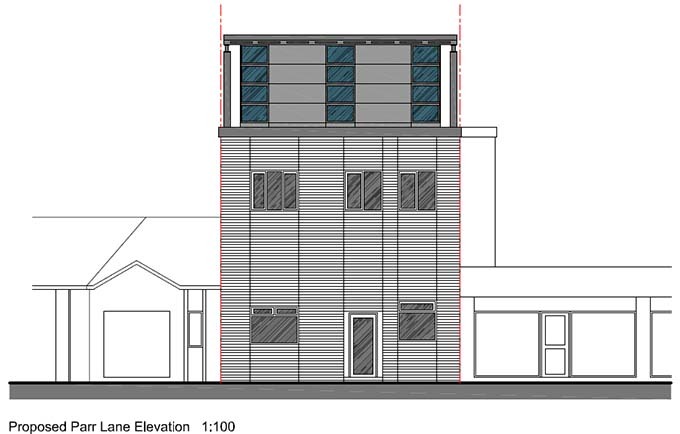 While I admit, the new design is an improvement on the previous November application, I am afraid I do not share the architects enthusiasm for a metal and glass box rising high into the Unsworth sky. At present, the clinic does not have a customer lift. This was one of the driving forces for the, now abandoned, application forms to convert a house into a new, larger clinic. Once it became clear that the residential property was never likely to receive approval, the plans moved back to the existing site. Unfortunately, the new plans still do not contain any plans for a lift. Access for wheelchair users and parents with prams/buggies will be even more difficult than the applicant has already accepted (in prior applications). In my view, if the Council’s planning panel approve this application as it stands, it is tantamount to saying that the Council is perfectly fine with non-DDA compliant businesses and health services. What kind of message is the Council sending if we do not insist upon equal and easy access for all.